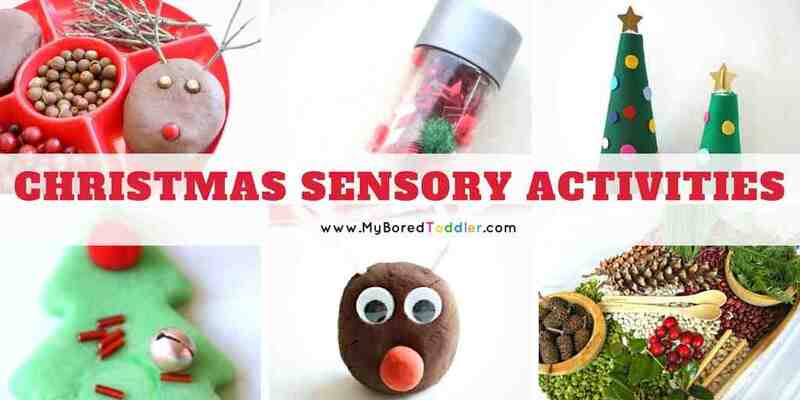 One of the things that I love about Christmas is all of the Christmas crafts and activities that we can do with the kids. I know that many people like to wait until their children are older to get out the crafts, but a toddler made card or gift is always appreciated by family and friends. 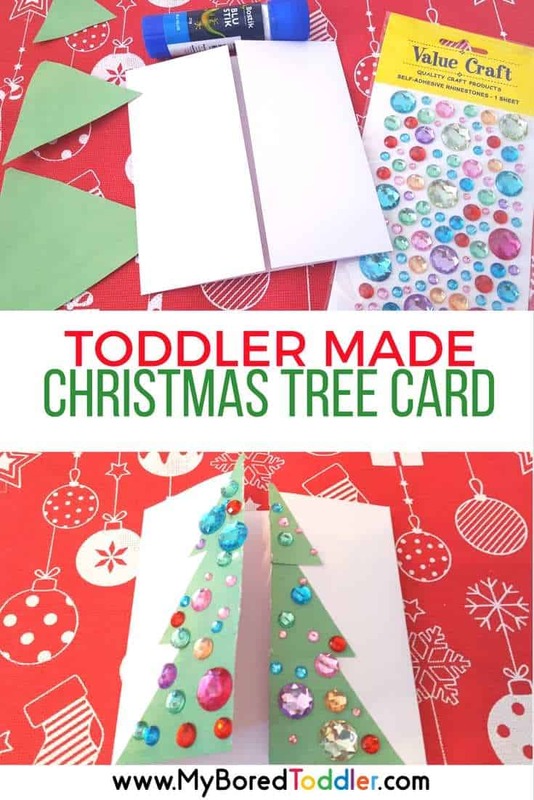 They are always much more valued than a store bought card, and your toddler will have lots of fun making them. One of the challenges of creating Christmas cards with toddlers, is resisting the urge to do it for them. It’s much more important to focus on the process of the activity rather than the finished product. With this Christmas tree card, it was designed so that the adult help was minimal and that there were significant parts that the toddler could complete themselves (with help of course). A key to this activity is buying the self adhesive gem stones. I made the mistake last year of buying the ones you have to glue on yourself and they are terrible. They rarely stay stuck on and it just ends up in tears – double check they have the sticky backs. You can buy them here. 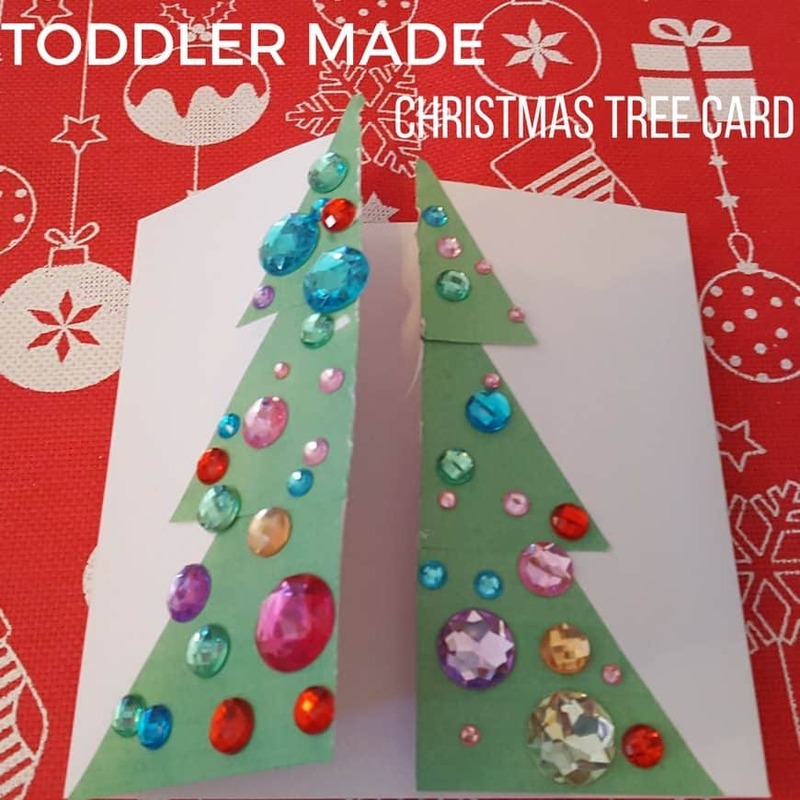 Thistoddler Christmas tree card is part of our 12 Day Christmas Craft Challenge. 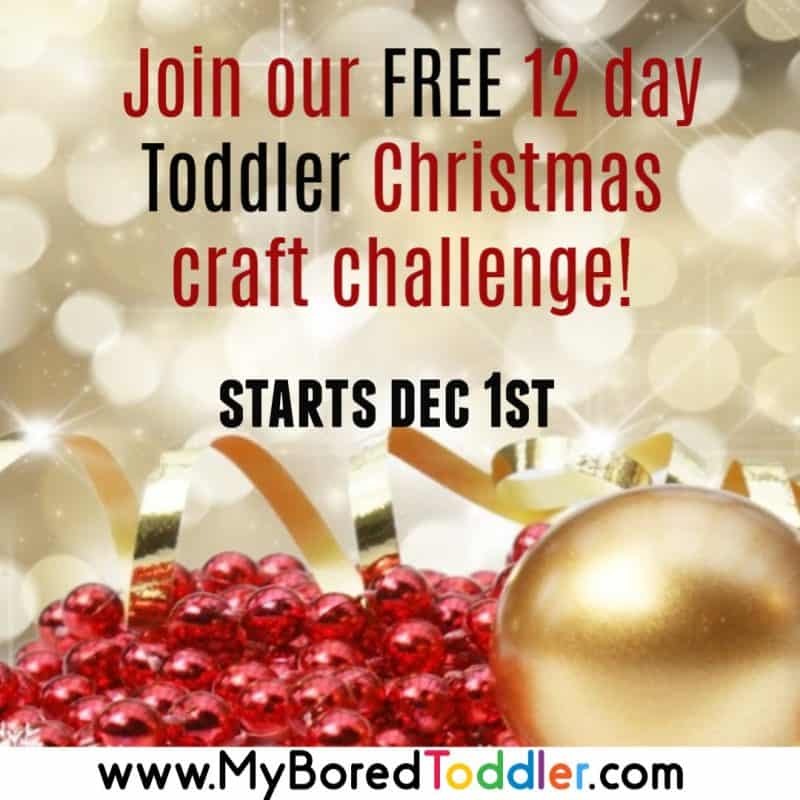 It’s a free and inexpensive challenge designed to get reluctant crafters making things with their toddlers and preschoolers this Christmas. If you would like to join in you can sign up HERE and start at the beginning. Don’t forget that we are sharing our photos in our Facebook group and over on Instagram (use #MyBoredToddler ) so we can see what your kids create! I’ll repost some of my favorites. Cut out 3 triangles (1 large, 1 medium, 1 small) from the green construction paper. The size of these will vary depending on the size of the cards that you bought. 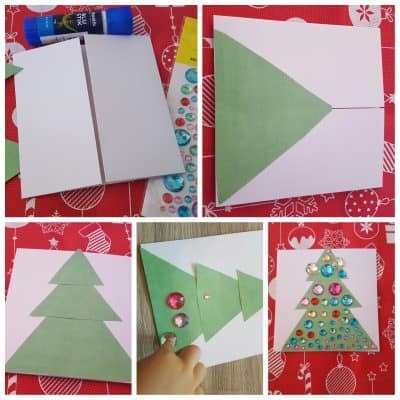 Help your toddler to glue the triangles onto the card (over the split in the middle of the card) to make a Christmas tree shape. The level of help for this will depend on the child’s age. Give your toddler the self adhesive gem stones and have them stick then onto the Christmas tree. There really is not right or wrong way with this – just let them go! Younger children may need help taking the stickers off the sticker sheet, but 2 and 3 year olds should be able to do this with minimal assistance. 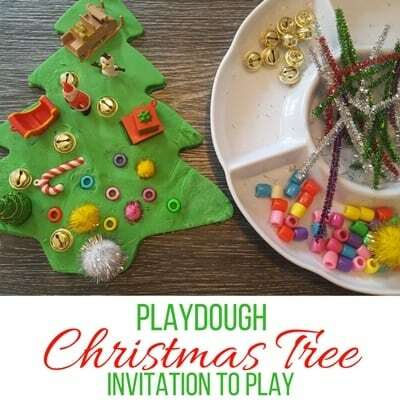 Have an adult cut a line through the middle of the tree so that the card opens. Have your child decorate the inside of the card however they like. If your card set came with an envelope, I normally let them decorate this with Christmas stickers. We put these aside and hand them out to family and friends on Christmas Day. I hope you’ve enjoyed this Christmas card craft for toddlers as much as we have. If you want to keep your toddler busy makes sure you subscribe to our weekly newsletter and follow us on Facebook, Twitter, Instagram and Pinterest. I love the way the tree opens up! Great idea!